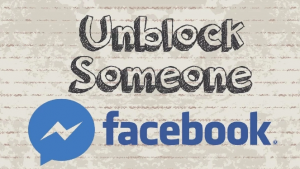 How To Unblock Someone On Facebook And Messenger|FAQ – How Do I View My Blocked List? There comes a time when you definitely have to cut ties with a person or certain people on Facebook. It could be an ex or a friend you’ve fallen out with. You might also need to get out of being stalked or dealing with obnoxious people on Facebook. The best way to achieve that is by blocking these people. By blocking people, you’re denying them access to your posts, pictures, videos, profile etc. Also, they lose the ability to send you messages, tag you in any form of content, invite you to any events or groups or even add you as a friend. That about does it. However, in a situation where you want to reconnect with these people or may have accidentally blocked someone, it is possible to reverse the blocking by simply unblocking them. In a case where it’s an accident, you will not be allowed to immediately reverse it though. You will have to wait for 48 hours to be allowed to do that. After logging in, click on the downward facing arrow on the top right corner. Select “Settings” from the options. Click “Blocking” on the left hand side of the settings page. Navigate your way to the Blocked Users section. Here, each blocked user has an “Unblock” link beside their name. To unblock anyone of them, click the Unblock link beside their name. Repeat this to unblock anyone you wish to unblock. Once you’ve accessed the app, click on your photo on the top left corner. Below the text box is a list of users you’ve blocked. To unblock them, click the “Unblock” button beside their name. Note that unblocking someone does not automatically make you friends again. You have to resend a friend’s request to them after unblocking them. Once they accept your request, then things will have fully been reversed. If you’ve noticed, in navigating your way to achieve unblocking of blocked users, you get to see your list of blocked users. This answers the question of “how you can view your blocked list“. If you ever want to take a peek at the list of people you’ve blocked, just follow the steps until you get there.